This is my first time using caviar pearls, using the Ciate Mini Nail Polish and Caviar Kit that came free with the July edition of Marie Claire. (The August edition isn't out until Thursday, so there's still time to get your hands on this kit!) 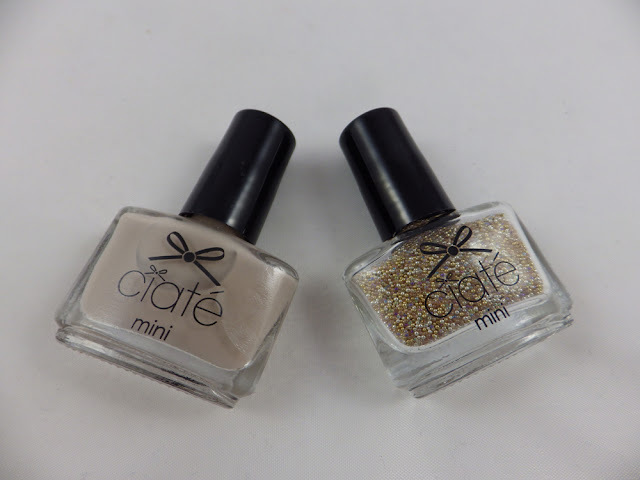 The nail polish is Ciate Cookies and Cream, which is described as a light taupe pastel grey. It's a gorgeous neutral shade, which I know I will get a lot of use out of. However it did take three coats to be fully opaque. 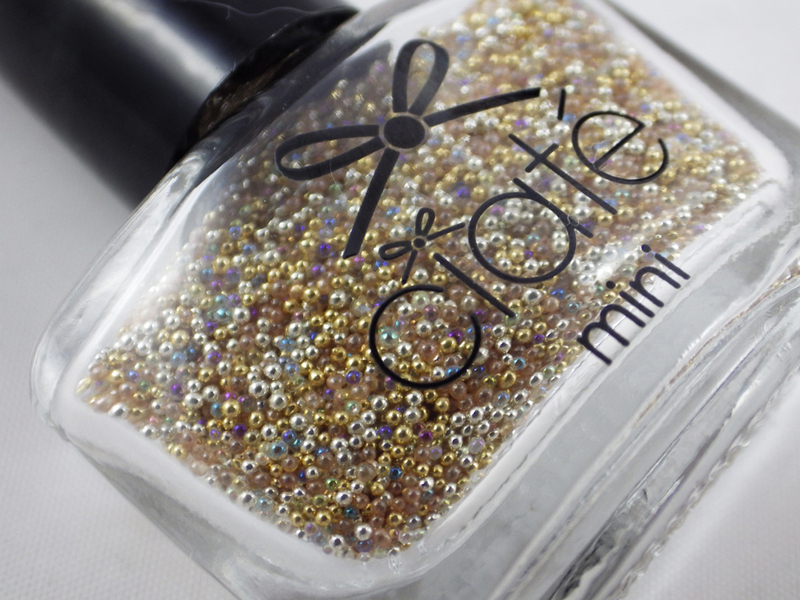 The colour of Cookies and Cream means the caviar pearls, called Shooting Stars, really pops on the accent nail. Shooting Stars contains multi-coloured pearls of gold, silver, blue and purple. I was recommended to apply the pearls onto the last wet coat of the polish, which I intended to do; however I ran out of time, skipped the third coat on the accent nail and poured the pearls over the wet top coat. I also applied a very thin layer of top coat over the pearls, but not too much as I didn't want to ruin the effect. The caviar pearls lasted surprisingly well; I lost some down the sides of the nail within a day but the bulk of the pearls lasted three days. Have you ever used caviar pearls? P.S. Have you entered my Origins giveaway yet? Just under two weeks left to enter! Click here for a chance of winning! They dont seem that they would last that long. And be rather irritating, but it does look lovely! OMG so funny. I picked this up this other day and did a blog post saying that I was going to use the pearls on my ring fingers too! Great minds! Love how it turned out. I haven't used mine yet. It was a great freebie wasn't it? I picked this up but have yet to try it out. It looks fab on you!